We are dealing with Ghee Plants. Vanaspati is obtained by controlled hydrogenation of edible liquid oils (called 'soft oils'), so that its hardness consistency and rainy appearance resemble natural Ghee (clarified butter). 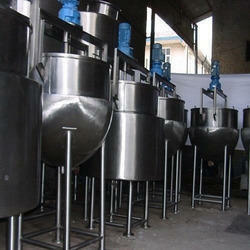 We are a remarkable enterprise, involved in offering superior quality Ghee Making Plant. We are one of the well-known companies that present an extensive series of Ghee Processing Plant that is available in diverse specifications.